Our love of Westies started in 1987 with our first pet Westie RD and in 1988 DD joined our family. Both dogs travelled from UK to the Middle East, where we were based at that time, and where they enjoyed a privileged life. In 1991 work commitments based us between the US, Middle East and Europe. It was around that time that we decided to move to this beautiful Island in the Eastern Mediterranean, as Cyprus offered Home Quarantine for our beloved pets. RD and DD enjoyed life in Cyprus with RD passing away in 2000, and DD in 2001, both aged 14 years. We have shared our lives with Westies for over 20 years, and have had the privilege and pleasure of showing for the past 8 years, with our Westies gaining triumphant recognition and success in the Eastern Mediterranean. Jack, James, DJ, Gigi and Cher are International Multi champions, Ciara a Cyprus Champion, and Lady is also showing great potential in the show ring. 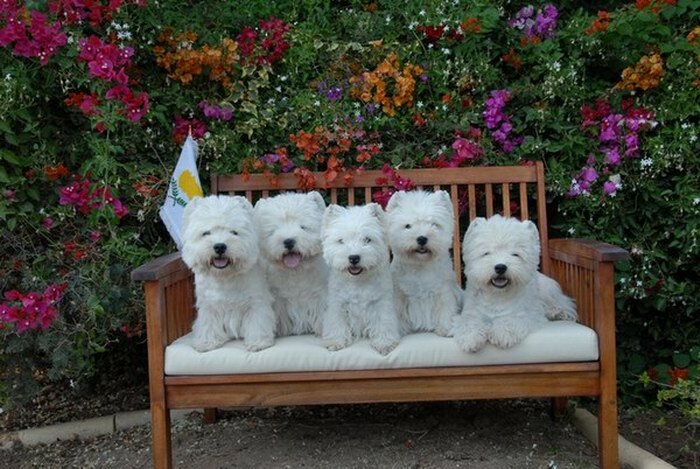 Pedigrees, photos, and show results can be seen on the Westies page. 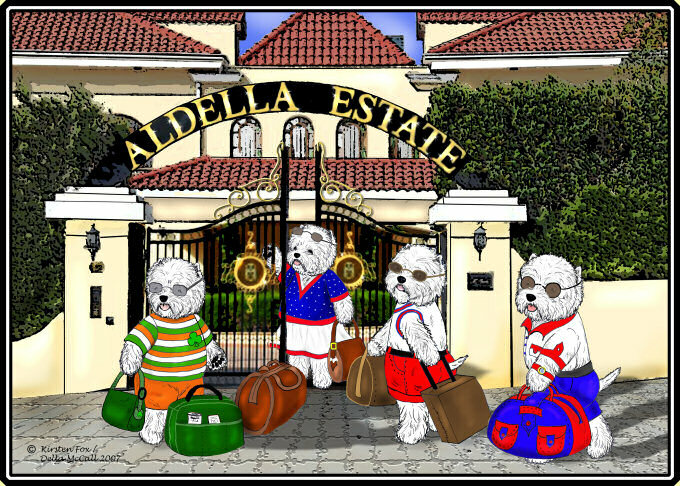 We do not have a Kennel, and all our beloved Westies live happily together with us as family pets.